Laser measures are quickly turning the tide for better workmanship making tasks easy for anyone who deals regularly with the good old measuring tape. 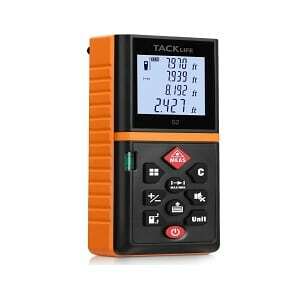 The efficiency and accuracy of the laser measure makes it better than any of the measuring tapes that you may have used before. 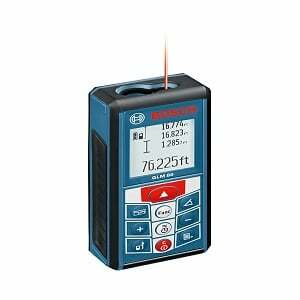 No more counting lines on a tape and no need to learn your conversions because the laser measure handles most of it quickly and easily for you. Let us look at the best laser measures that we have in the industry and how efficient they are in what they do. We will also explore areas of improvements in these laser measures to help you choose a laser measure that is reliable. 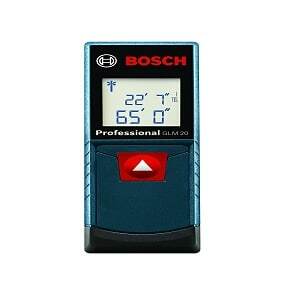 This Bosch laser measure uses a laser pointer to tell you how far a device is. The working of the device is very simple. You take the DLR 130K and point it to an object and press the button that tells you the distance. 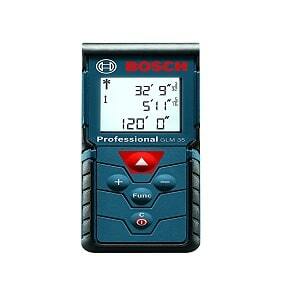 There is nothing more than this associated with the working of the laser measure. 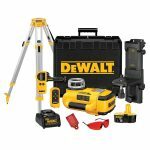 It is helpful for those who are mainly into construction and finish carpentry. Measuring walls can be very easy with this device and accurate measurements are available with you in a matter of seconds. It has a range between 2 inches and 130 feet which is adequate for most people. This mode helps in the getting accurate results regarding the area between two consecutive measurements. Flooring contractors would find this mode helpful. With the help of this mode, you can ascertain the volume of a room after taking three consecutive measurements. It can help those who are creating a room for warehousing purposes. The continuous mode keeps a track of the measurements that are taken and sums it all up continuously. The device has a memory function which stores the last measurement taken by the device. It is a light device and it is very accurate too. So you will not notice the measurement change when you try to measure the same distance multiple times. The device seems rugged so it can easily survive a few falls although mishandling the device can hardly result favourably for anyone. The range is good enough for most of the users. The design of the tool is good and it can easily fit in the palm of your hand. One of the main disadvantages of the tool is that it does not have a backlight. This can make it difficult to use the product in extreme lighting conditions. For those who work outside in bright light may find it difficult to read the screen but using the tool indoors is easy and you will be able to read the measurements easily. 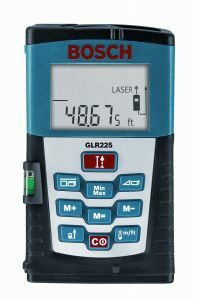 The GLR 225 is a Bosch laser measure that has a range between 2 inches to 225 feet. It has seven different measuring modes and four reference points. This helps users obtain a variety of measurements quickly and easily. The 7 modes makes it good for professionals as well as DIY enthusiasts. Electricians, contractors, plumbers and carpenters find it to be very helpful in their daily measurement jobs. With a higher measurement range it can help you measure spaces that are wider and longer than 130 feet. 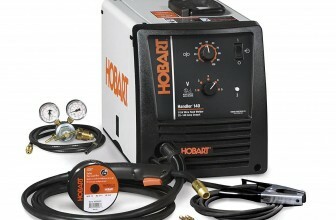 It is good for people who work outdoors because the laser is strong and is visible even in bright lighting conditions. One of the disadvantages about this tool is the keypad which feels like it may not be as durable as the rest of the tool. 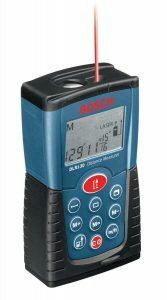 According to some Bosch Laser measure reviews, users have also found the keypad to be difficult to use because it did not fit properly so they sometimes had to press the button more than once. 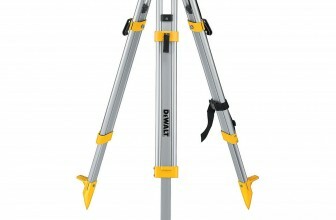 The GLM 50 can measure up to 165 feet which is 50 meters. It has five different measurement modes which are length, area, volume, continuous measurement and indirect length measurements. This increases the usability of the tool for many professionals and DIY fans. 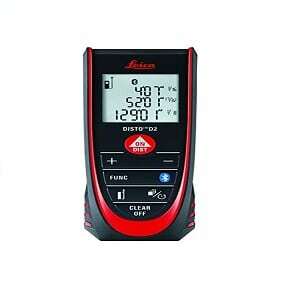 It offers three different measuring reference points and has a backlit display. 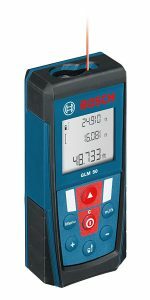 For people who are trying to increase their productivity and the quality of their work, the Bosch GLM 50 is one of the best laser measuring tools in the market. It is highly accurate, easy to use and a compact tool. The backlit display is advantageous for people working in extreme lighting conditions so that they can record the measurements on the screen without any problems. The GLM 50 is more compact and feels smaller. For people who prefer small devices, this can be a great advantage. It displays three measurements at one time which can be helpful when you want to rely on the tool for showing you the readings quickly. For those who do not like devices that are too narrow may find the GLM 50 to be a little too compact for them. The presence of the two red buttons one below the other often create a kind of confusion for the users. One is used for switching the device on and off while the other is used for activating the measuring process. Since they are almost identical, users may end up pressing the wrong one accidently. 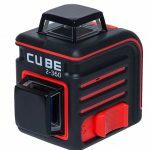 For this best laser measure review, we considered the price, range and accuracy of the products and the features that were available in each of them. Most users find these three products to be the most usable ones.